The team of Jerry Bruckheimer, Gore Verbinkski and Johnny Depp find themselves back together after the commercial success of the Pirates of the Caribbean films. 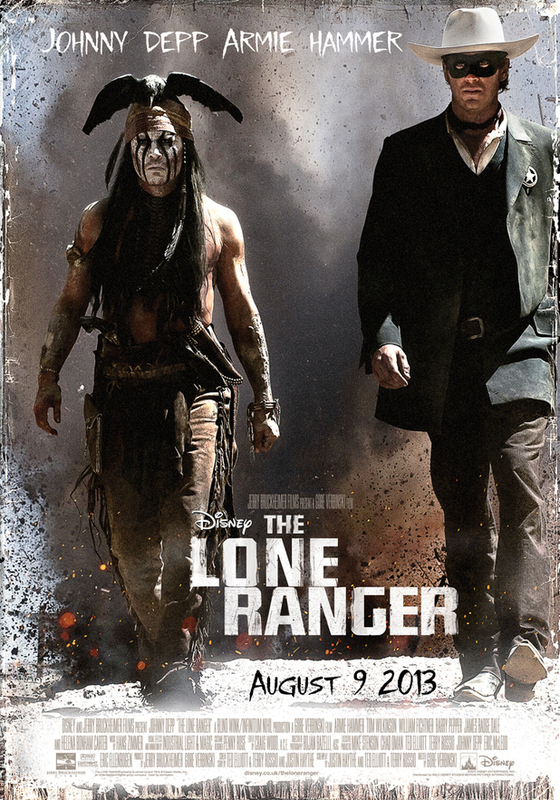 The characters of the Lone Ranger and Tonto became famous through the American radio show ‘The Lone Ranger’ in the 1930s, that then inspired comic books, television shows and now this, Disney’s 2013 live action summer blockbuster ‘The Lone Ranger’. The film follows the story of John Reid, our Lone Ranger on a revenge tale with Tonto at his side. This film is one that doesn’t require too much thinking, it’s a hollywood blockbuster, best served with popcorn in every sense of the word. Plot wise, the way the story was told was a bit baffling at times with this contrast between ‘modern day’ (1930s) and flashback story telling, I use the word ‘baffling’ as it was never used as an important point in the plot, the story was told and the storyteller walks off. Elsewhere I found the plot enjoyable, amusing and thoroughly entertaining. The soundtrack of the film left me grinning from ear to ear, especially during the large set pieces and really added to the western atmosphere, Hans Zimmer has certainly done a fine job on this film. The characters on the film were believable and interesting, my only criticism is that Tonto very much reminded me of Captain Jack Sparrow, not that that is a bad thing, I just left the cinema feeling it was very Pirates-esque. The humour used in the film certainly recalls to Pirates of the Caribbean, but perhaps a little bit more funny, and the humour used in a much better sense. Overall, The Lone Ranger is a highly entertaining romp through the American west with much loved characters and actors making this possibly one of the funniest films of the summer. I challenge even the harshest of critics to not smile during the final set piece.